We have recently begun offsite construction of four two-bed penthouse apartments at Marion Court, utilising the airspace development potential above. The apartments will be available on the government’s Help to Buy scheme, ranging in size from 672 sq ft to 916 sq ft and boast excellent specifications throughout. This will include floor-to-ceiling glass windows, maximising the flow of light in the living spaces while providing panoramic views across London. 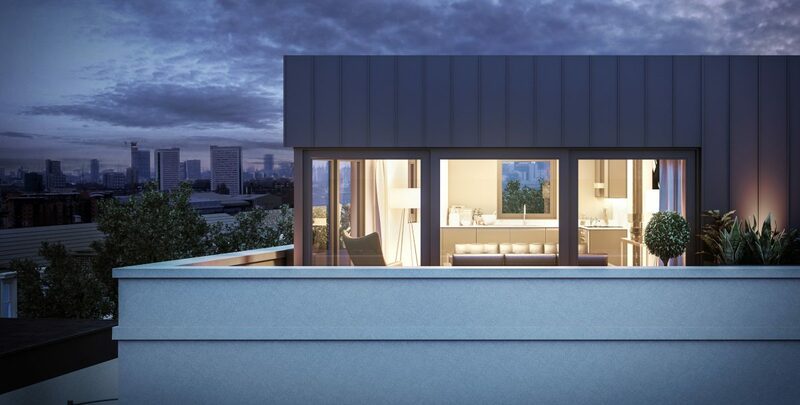 Two of the apartments will also have wrap-around terraces. Architects Emergent Design were instructed on the scheme. The apartments will be constructed off-site using the latest in modular technologies, bringing precision engineering and speed of delivery. Once created, they will be transported and positioned on top of Marion Court by crane in days, causing minimal disruption to the residents living below. A range of upgrades will be carried out to the existing building as part of the development, ensuring that everyone in Marion Court benefits from the work taking place. This includes newly renovated communal areas, a new entrance, new fire alarm system and signage, upgraded refuse and recycling, new cycle racks and a new lift. The airspace development above Marion Court has been made possible through our recent funding partnership with Homes England. This, alongside a partnership with the Greater London Authority, has seen Apex secure £19 million in recent months to roll-out new developments in London. We are passionate about the way airspace development can help alleviate the UK’s housing crisis. With the population in London expected to reach 10 million in the next decade, our research has identified the potential for airspace development to provide up to 180,000 new homes in the capital. 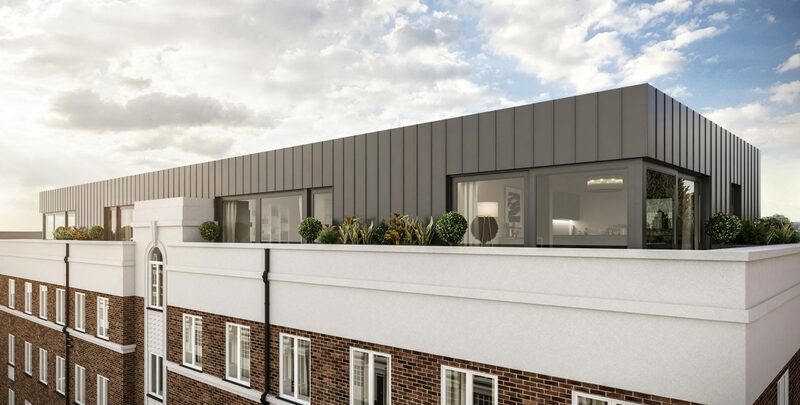 “We have reached a key milestone at Marion Court as construction begins to deliver these limited-edition penthouses in the heart of Tooting Broadway. 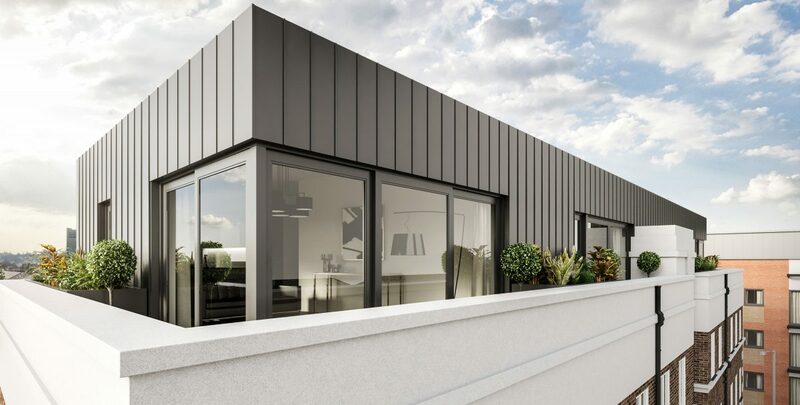 These apartments have been carefully designed to offer residents the best from London living, backed up with fabulous views of the capital’s skyline. “We are committed to creating sustainable and closely-knit communities. Improving the use of existing assets and infrastructure has become a central feature to our success, as we add maximum value to our developments for both existing and new residents.